Indoors- Individual biodegradable peat 1” deep, 3-4 weeks before last frost with soil temperature at 70 degrees. Transplant after last frost without disturbing the roots. 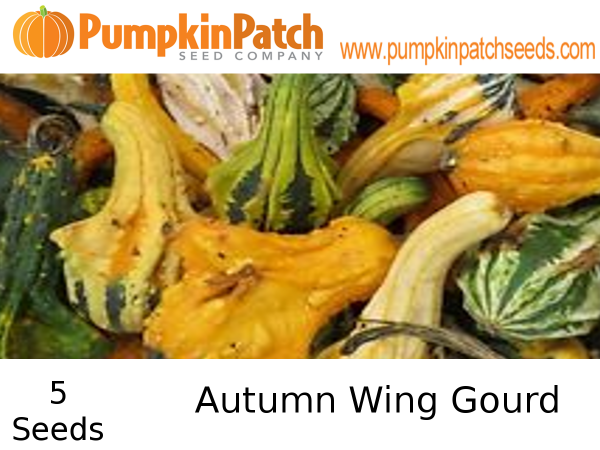 Gourd plants are extremely vigorous and require a long, warm growing season, ranging from 95 to 120 days to maturity. You’ll get comments on this one. 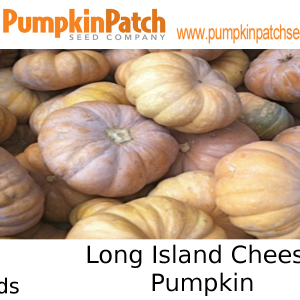 Gourds are ready for harvest when the stems dry and turn brown. Harvest before a frost. 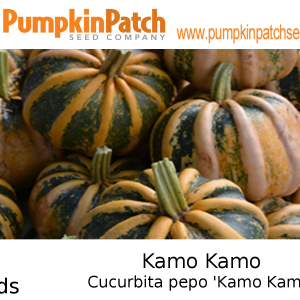 This is a Cucurbita or soft-skinned gourd and can be dried in a two step process, taking 1 to six months depending on the size of the gourd. First you must clean and dry the outside surface, wiping with alcohol will ensure the surface dries completely. 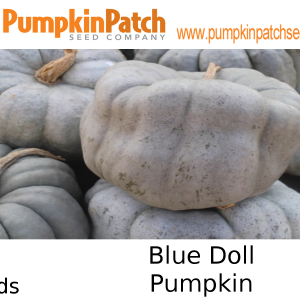 Place the clean gourd in a dark, well ventilated area for about a week, turning and checking daily. Discard any fruit showing any signs of decay or soft spots, do not allow other fruit to touch. After about a week, the outer skin of the gourd should be well dried. Internal drying is the second step and takes about a month. Providing warmth will hasten the curing process and discourage decay. Keep in a dark, well ventilated area and wipe away any mold that appears with bleach. 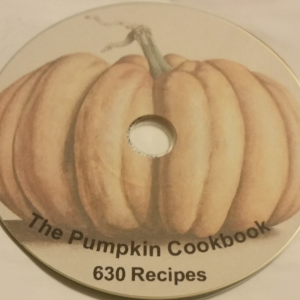 As long as the gourd is hard, it should be fine. Check often and turn so that it will dry evenly. When the gourd is light in weight and you can hear seeds rattling inside when shaken it is ready for painting or crafting.